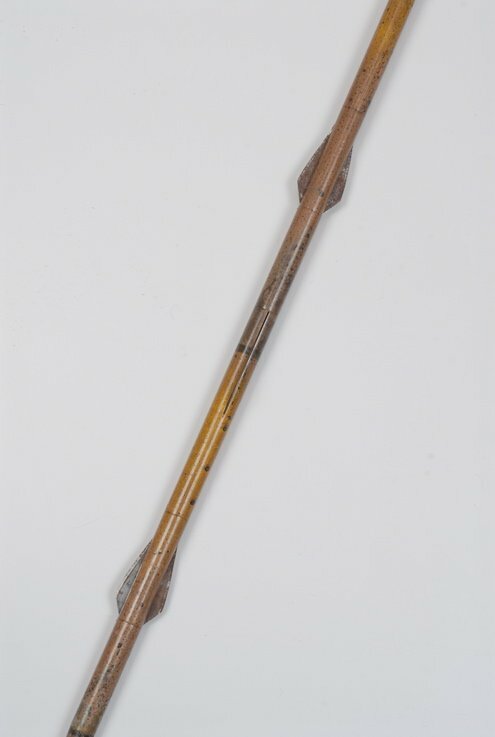 A deadly type of self defense cane sold to Parisians in the 19th century. 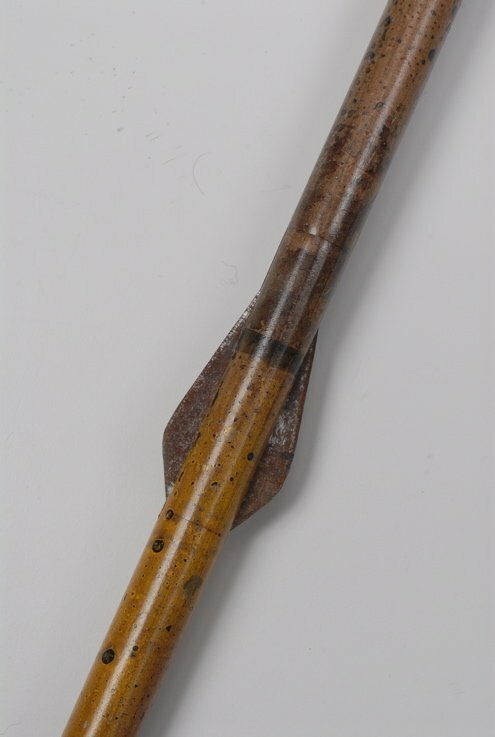 Except of course for sword, gun and loaded canes it is sometimes hard to determine if a cane was meant as a weapon. Needless to say it isn’t the case with the one nicknamed “La terrible”. 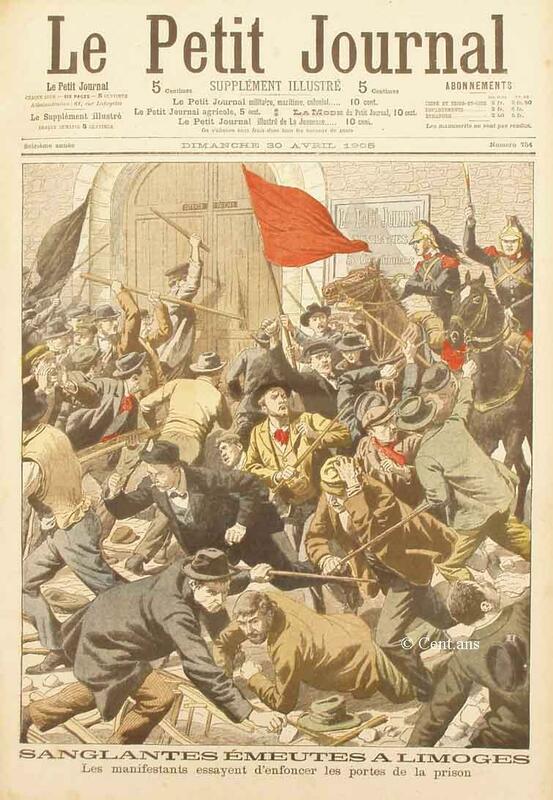 Paris was the scene of many riots during the 19th century as various governments succeeded themselves at the head of the country. One favorite weapon was of course the cane, being carried by every men its use as a weapon of defense was taught to soldiers. Conscription being obligatory during a large part of the 19th century many Parisians would have been knowledgeable in its use and could afterward perfect their skills by taking lessons from civilian instructors. 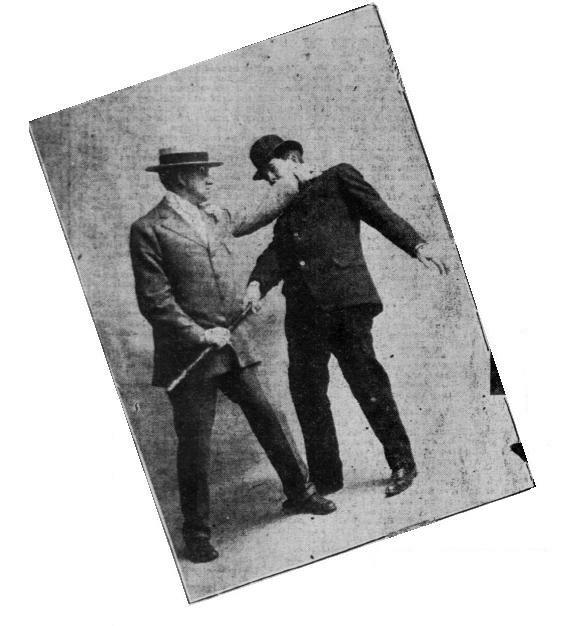 One problem with using a walking stick, even more so during a melee, is the fact that it could be grabbed by an adversary and quickly rendered useless. Various methods existed to preempt this move such as the Rose couverte but none were as effective and persuasive as the ingenuous mechanism contained in La terrible. The cane looked quite innocuous from a distance. Made of metal and painted to mimic Malacca it was quite ordinary in appearance until one made a strong pull on its shaft which released a series of razor sharp blades which could severely injure whoever was holding it by the wrong end. It is unclear who came up with this gadget but they became such a bane that authorities prohibited their use and sale. 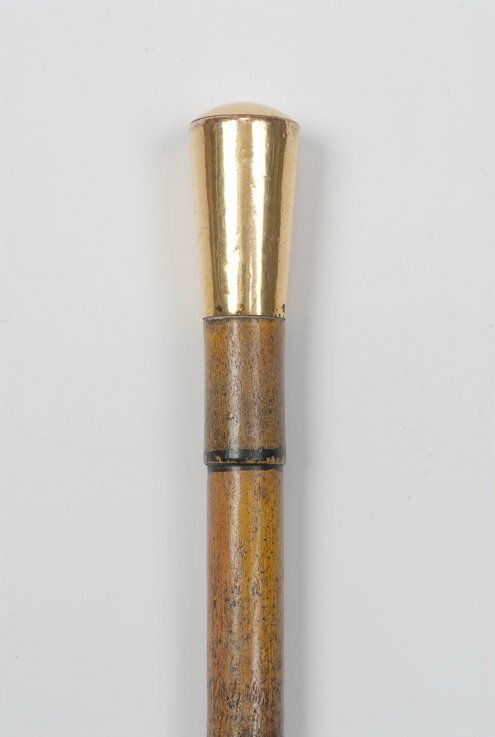 These canes are extremely rare today and can fetch quite a price from collectors. This specific example made around 1870 fetched 5000$ at an auction. Where did you get the “An Irish method for getting out of a grab” image? Hello PJ. This is part of an article published by a San Francisco newspaper in 1903. There are two traditional styles still in existence and two documented ones including this one.